A permit is not required to hold a garage sale, however you are limited to three (3) garage or yard sales per year, not to exceed three (3) consecutive days and sales must be conducted during daylight hours only. For each event, there shall be permitted one on-site sign and a maximum of four off-site signs, all of which shall indicate, at a minimum, the specific date and location of the event. The owner shall obtain the approval from the property owner of any off-site sign placed on private property. Off-site signs are not allowed on any public property (including but not limited to trees within the landscaped areas, utility boxes, and utility poles) to be located within the public right-of-way, including streets, sidewalks and medians. The signs shall not interfere with ADA accessibility or pedestrian and vehicular traffic. 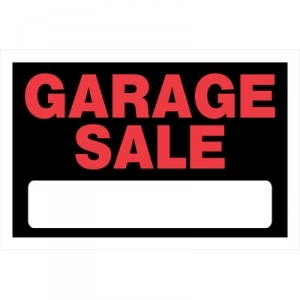 Garage sale signs and directional information must be removed at the conclusion of the event by the resident conducting the sale. The prompt removal of all signs shall be striclty adhered to. Call the Code Enforcement Division at 925-625-7031, if you have concerns about the garage sale regulations. To request your garage sale be added to our calendar please submit the form below. I understand and accept the Garage Sale rules and regulations listed above.